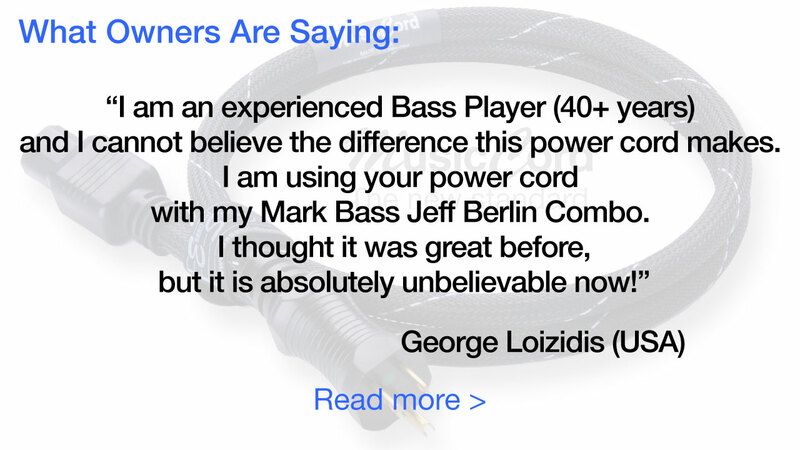 You've been living with compromised sound for so long, unaware that your tone could be significantly better without changing the component - until now. 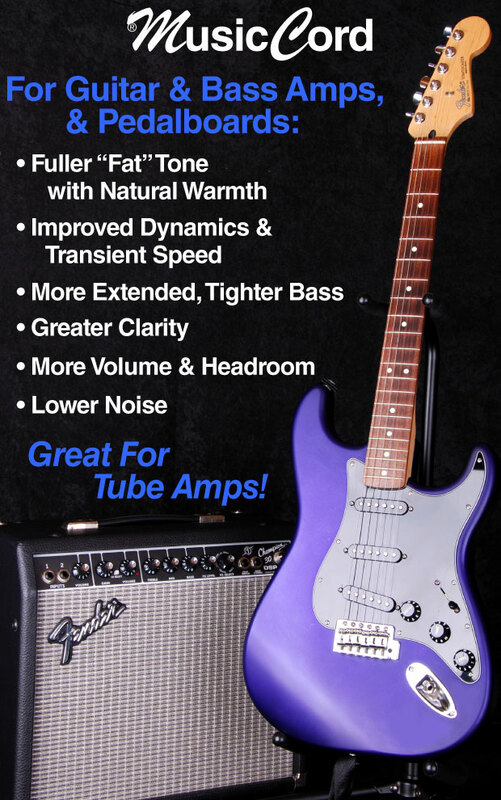 Welcome To The Next Level Of TONE! 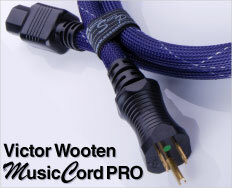 Finally, an essential accessory has received long overdue attention. 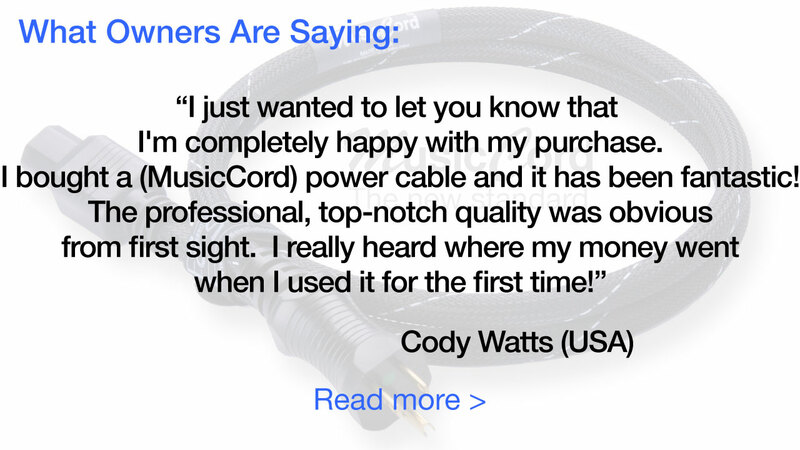 Introducing the first truly innovative a/c power cords specifically designed to enhance audio/video performance, from the live event, through recording, mixing, mastering, post-production, and playback. 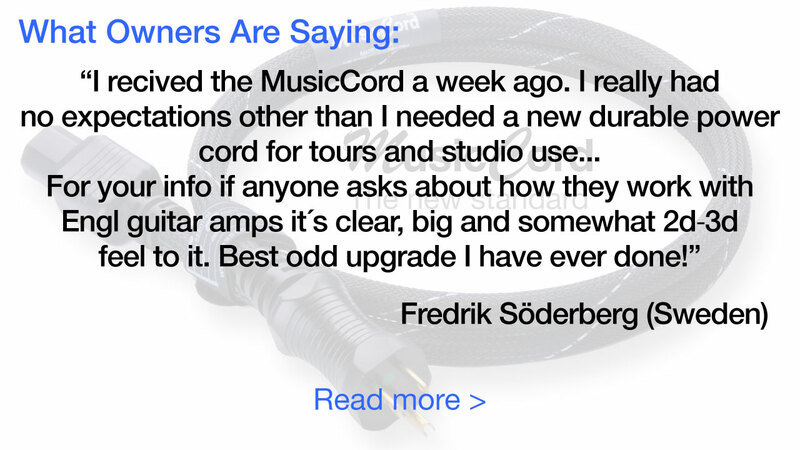 With MusicCord, transients are crisp and clean. 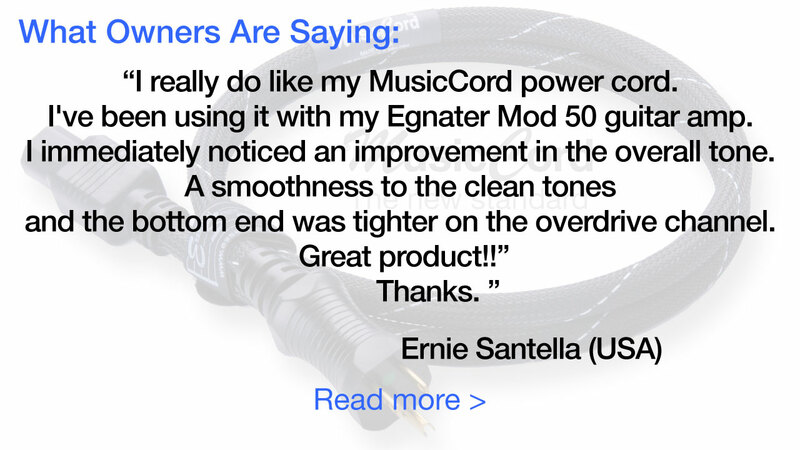 Ear-fatiguing midrange harshness is eliminated. 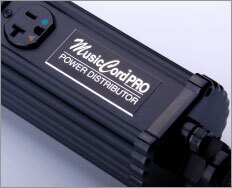 Stereo imaging including soundstage positioning and spatial cues are clearly revealed. 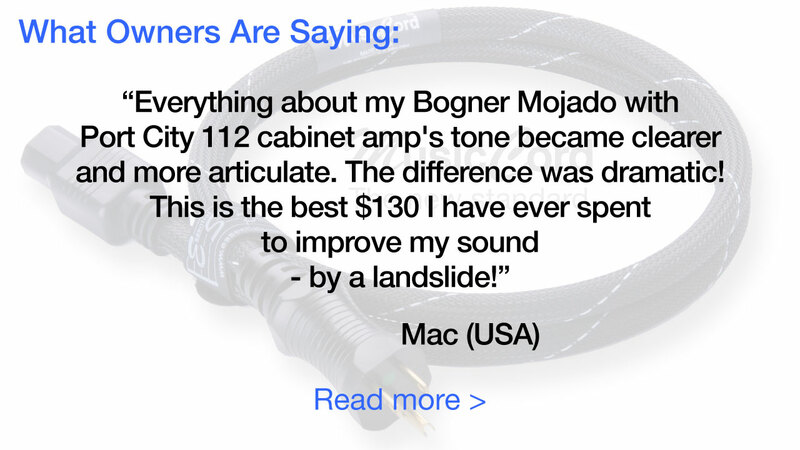 Overall the sound is more coherent. 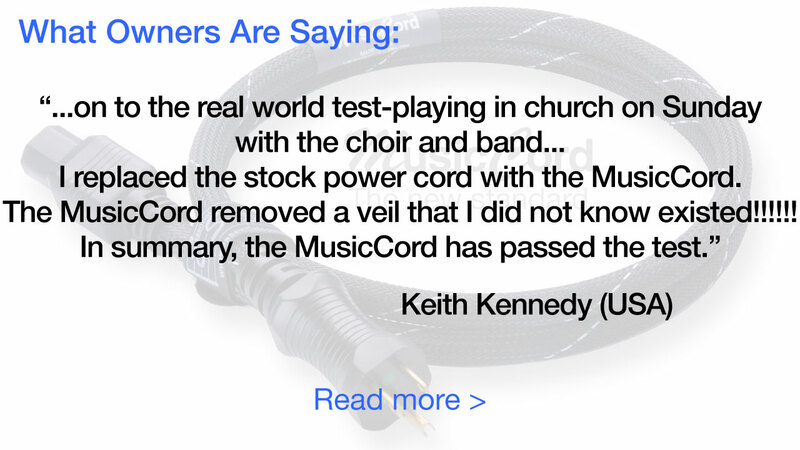 While individual instruments and voices are more apparent, they sound more a part of a musical whole. 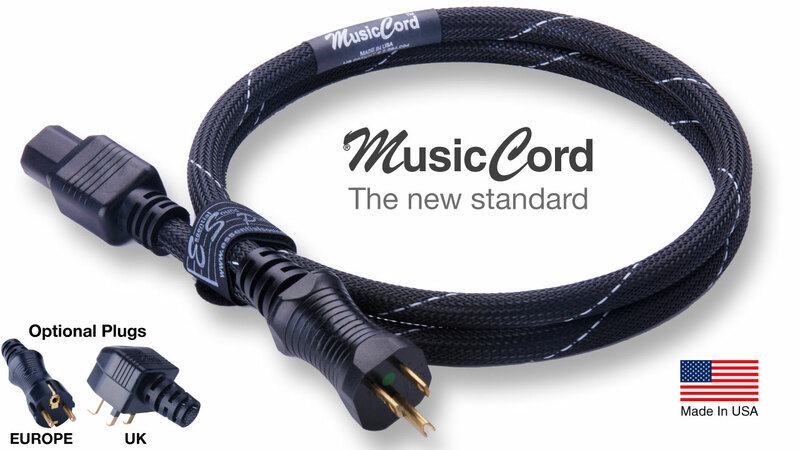 Designed to be a de facto standard, MusicCord can be used with any audio/video component. 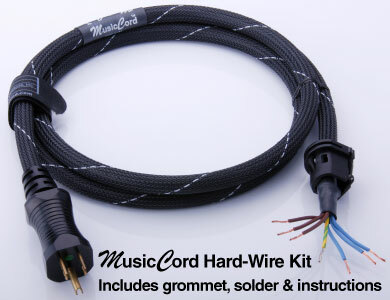 With so many components, where does one start? 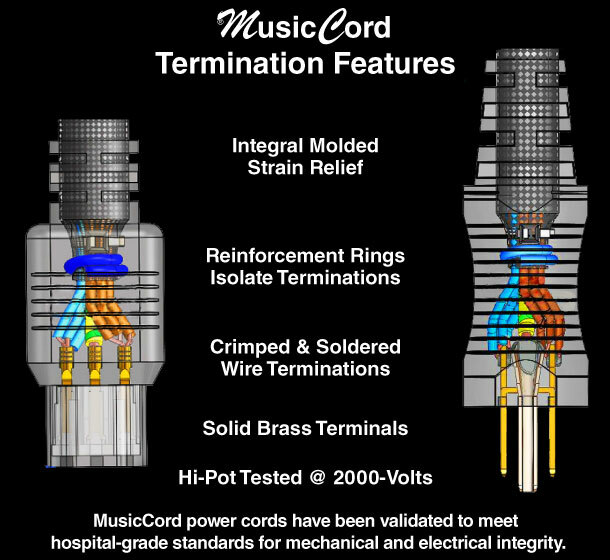 Using MusicCord with the following components can be as impactful to the end result as those in the 1-A priority grouping. 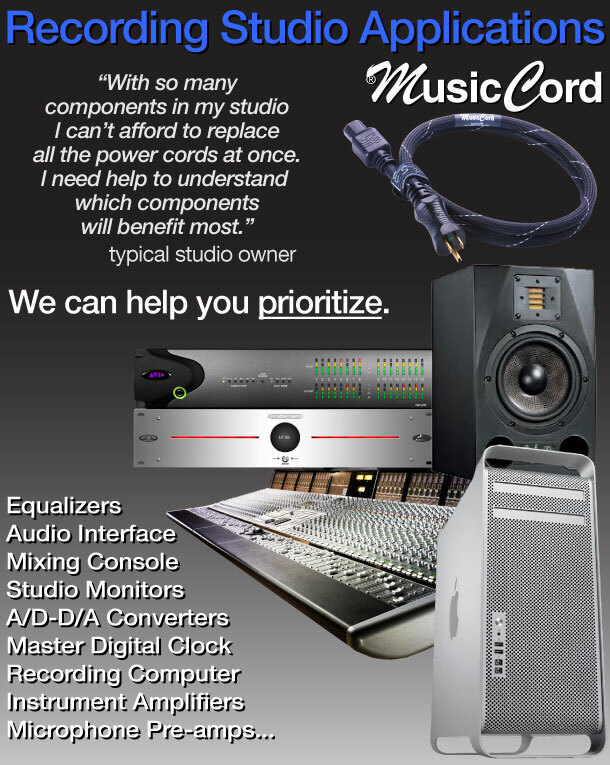 For example, using MusicCord with studio monitors does not directly impact recording quality, but will allow you to hear more detail and resolution, and make better decisions. 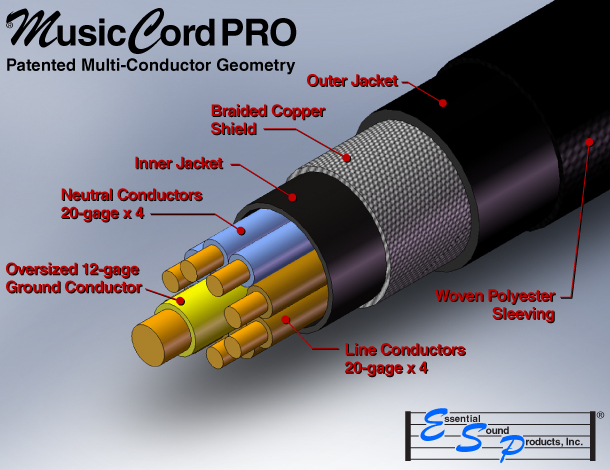 Other components improve the input sound quality of instruments or vocals being recorded. 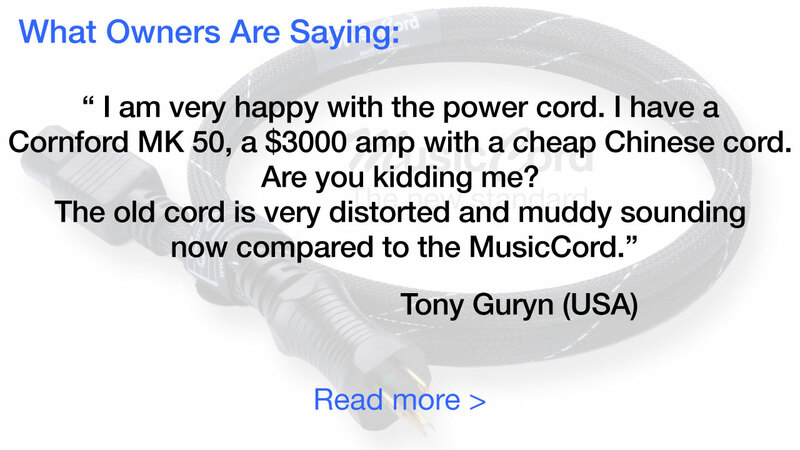 Using a single MusicCord with a multi-slot 500-series power supply will give you a lot of bang for the buck! 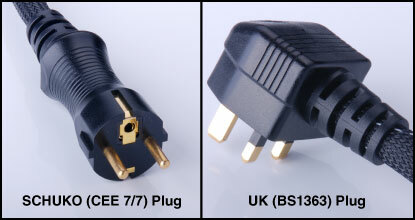 Early on we learned that power cords pick up interference from fluorescent lighting ballast that causes hum noise. 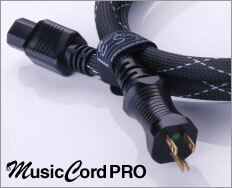 MusicCord's patented shielded cable design eliminates this and many other causes of background noises. 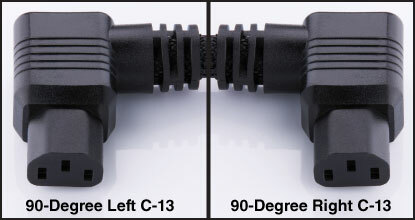 In addition to standard straight configuration, we offer 90-degree left and right C-13 connectors. 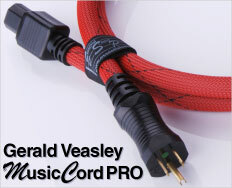 Want to hard-wire your cord? 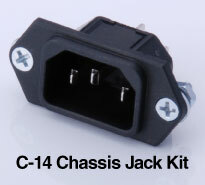 We have it complete with chassis grommet.